Picture the scene: You reluctantly emerge from a hot shower having scrubbed and lathered and rinsed to your heart's content when it hits you—that wall of stark and disturbing cold bathroom air that assaults your body from all angles. It's bleak. But before you reach for that towel or fluffy hotel robe, you've got a job to do. Moisturise your body. We all know our skin can benefit from the daily application of a body lotion, but it's at this stage where most people (myself included) bow out. Too affronted by the chill that has seeped up from the floor tiles, through the soles of your feet and along your spine, it's all too easy to say "screw it" and go without. But if you're angelic enough to soldier on, it doesn't get much easier. You slather body cream up your legs and buff it into your arms, but the pain is far from over, as you now have to wait a good five to 10 minutes for the lotion to sink deep enough into your cold skin for you to be able to get dressed. Nobody likes wriggling into jeans or tights with greasy legs. So what you need here is a featherweight body lotion that packs just as much hydration punch as its more buttery peers, but that seemingly disappears on application. Click through to discover the five best body lotions that won't leave you out in the cold. 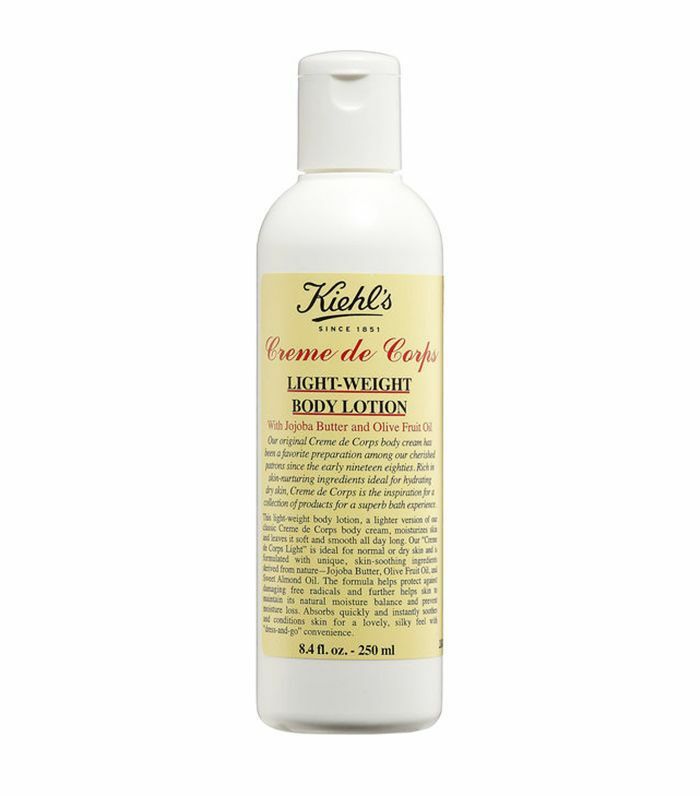 IMHO, Kiehl's original body lotion is the gold standard when it comes to nourishing body lotions, but as it is quite rich and buttery in texture, it isn't the speediest at seeping into limbs. So on those mornings where time is at a premium, I switch to its lightweight cousin, which contains sweet almond and olive oils, as well as jojoba butter. It doesn't just wash away that white chalky film down the front of shins, but it does it in one minute flat. 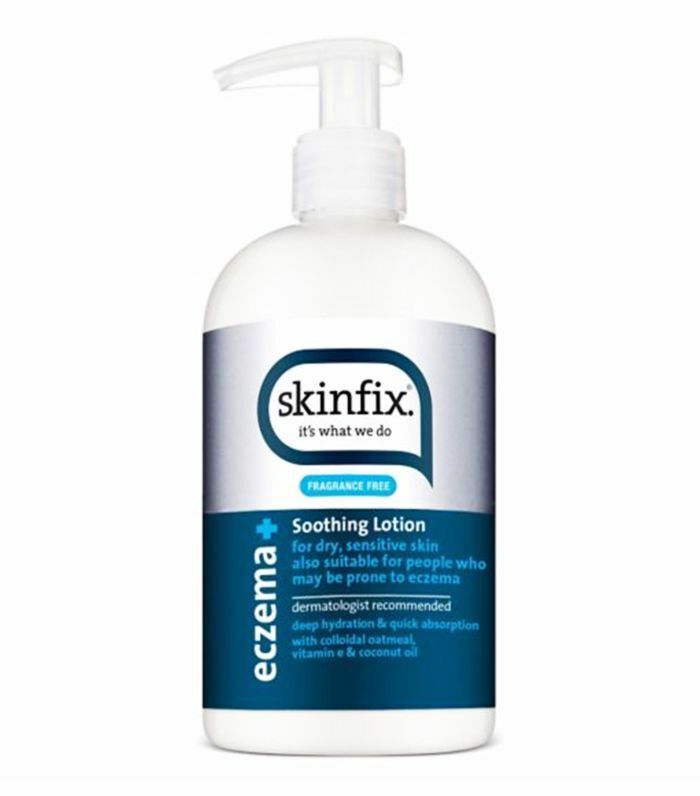 When skin starts to go a bit scaly, a plain old body lotion just isn't going to cut it. Instead, arm yourself with a bottle of this. Where an exfoliator meets a moisturiser, this lightweight lotion contains a tonne of lactic acid that will chip away at the dead skin cells on the surface of the skin, whilst hydrating the deeper layers. It's the best body lotion for extra-dry skin. 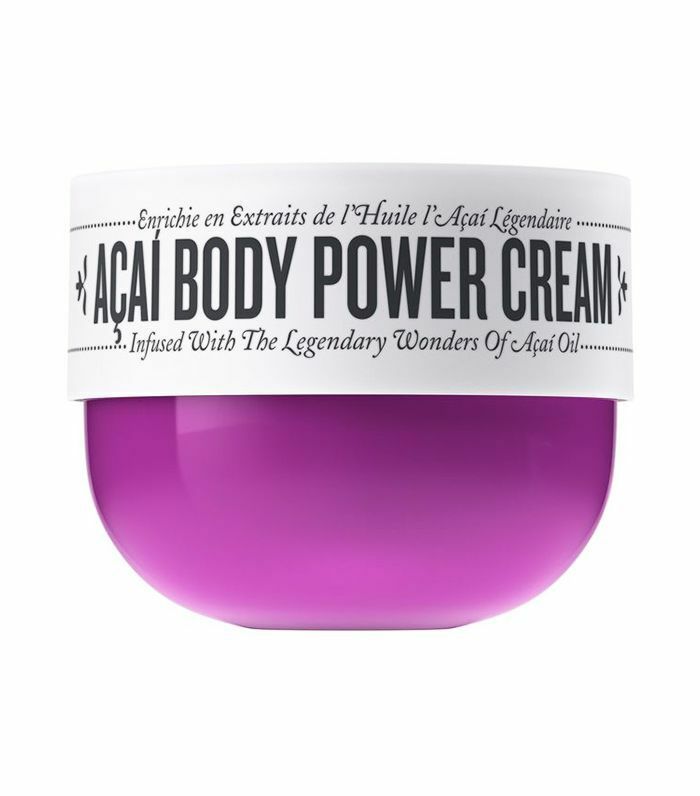 You'll have seen (and probably smirked at) the brand's iconic derrière-enhancing Bum Bum Cream (£18), but according to Byrdie's associate social media editor, Alyss Bowen, it's this pot of açaí-powered body lotion that deserves the airtime. "It smells amazing and gives skin a nice sheen, but the best bit is that you put your clothes on in less than 60 seconds after application—even skinny jeans." For those with sensitive skin, body lotions can be a roulette—one dodgy ingredient can leave you with a red, blotchy problem. But having been tested by dermatologists, this body lotion is your safest bet. It contains no potentially irritating fragrances and has plenty of colloidal oatmeal, which soothes and calms antsy skin. It's no thicker than the texture of custard (without the stickiness, you'll be glad to hear), so it spreads nicely and funnels down into your skin in a flash. So this one is decadent and comes with the added bonus that it will leave you radiating the addictive scent of bergamot, lemon and a sprinkling of pepper, but it's thin. Like single cream kind of thin, and so it's basically gone before it has even touched the surface. That does mean, however, that it's not majorly hydrating, but if you have pretty well-behaved skin that just needs a top-up, it does the job. 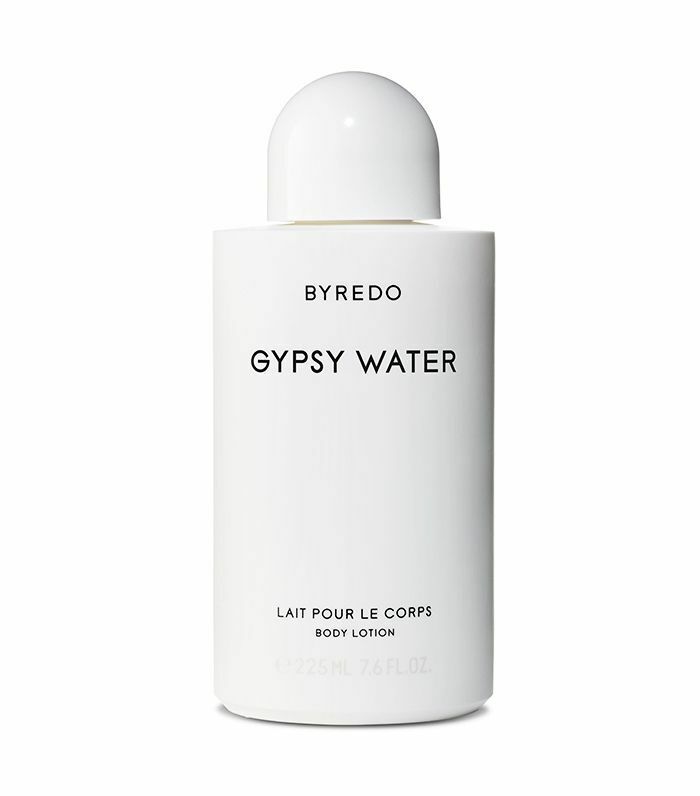 What I do take issue with, however, is that you can't get this body lotion in the Byredo's new (and incredible) Rodeo scent, which I've confessed my undying love for here. Up next, we unpack the true science that is taking a bath.